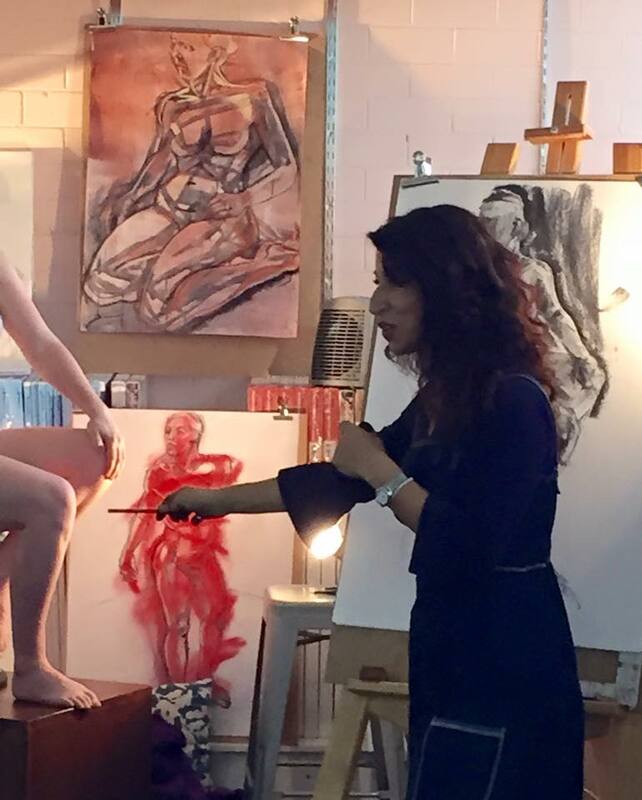 I had the pleasure of running a life drawing demonstration at The Art Shop Mona Vale on the 2nd of May. I had the lovely Amber booked to model and we got about 20 people RSVP for the session. To tell you the truth I was a little bit nervous. Drawing is such a private contemplative activity, I knew drawing for an audience was going to be a very different experience. I didn’t realise it would be so satisfying to share my process with what turned out to be a very appreciative group of art lovers. I will definitely do it again.